As Summer is in full affect over here in Sweden, I cant help but notice many of my fellow comrades and brethren falling and slipping into that dreaded Friend Zone. 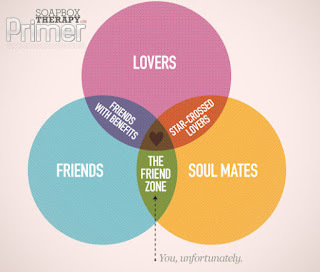 For those who are unaware of the Friend Zone(mostly guys who are oblivious to the truth), allow me to explain. The Friend Zone refers to an interpersonal relationship in which one individual(usually a guy) wishes to become romantically involved while the other individual would rather remain friends. From an outsiders perspective, it's a really really sad thing to view. It's far worse than watching a 9 car pile up involving a train and two heavy duty trucks in slow motion. "your such a good friend"
"you're really a nice guy"
"I can talk to you about anything"
and my all time favorite is "you are like a brother to me"
There are numerous other signs as well but those above mentioned phrases are red lights my good man. You should hit the eject button and bail while you can because your fighter jet has been blown to pieces by the friend zone missile. There are a few other tell tale signs as well. For example when she starts using 'bro language' or talks to you like a bro, the light is amber/orange and you need to slow down or speed up. This includes text message like "what are you doing dude" or "whats happening man" or "where you at bro". Just bail, save yourself the misery, embarrassment and torture of the friend zone and just move on. Surely people claim that there are ways to get out of the Friend Zone, however, this is almost impossible. Just short of re-incarnation, you will literally have to undergo serious change. And for what? Some sexual encounter? A relationship that you probably will be unhappy in because you are now someone else that you magically morphed into? No No my comrades. 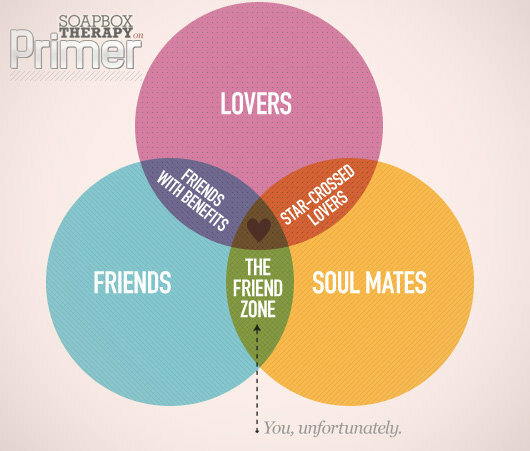 There is no getting out of the Friend Zone. So my advise is just bail, write it off and move on. If you are lucky to be getting some nookie, well then good on you buddy because you doing it right! 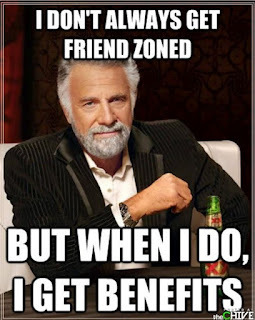 Friends with benefits is far better than friend zone. Just ensure that you are aware of the "kick in the teeth" later when she calls it quits for something "a little more serious" with someone else.